Are you searching for professional cleaning services in Pointe- aux- trembles? Ménage Total is the renowned and reliable cleaning company in Pointe- aux- trembles. We provide Pointe- aux- trembles cleaning services on regular basis, weekly or biweekly, monthly cleaning services as well as one time cleaning services. 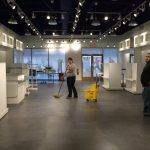 We also serve in Montreal, Laval and Longueil our professional commercial cleaning services and residential house cleaning services. Ménage Total claims to deliver efficient and high quality cleaning services to our customers in Pointe- aux- trembles on affordable house cleaning services and cheap commercial cleaning service rates. What Ménage Total has in the store for Pointe- aux- trembles? Our high quality cleaning services are available in Pointe- aux- trembles on affordable residential house cleaning services and cheap commercial cleaning services rates. Within the cheap cleaning service prices, you not only get a professional and efficient cleaning staff but also get rid of the cleaning tools and products that have occupied a permanent place in your house. The cheap rate of our all cleaning services is not influential on the quality of our cleaning services that is for sure. Our aim is to provide Pointe- aux- trembles with eco- friendly cleaning services. 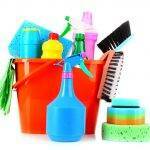 We use natural cleaning products that do not harm the environment- indoor and outdoor. Global environment changes are occurring because of the extension in use of toxic chemicals. 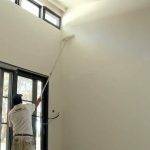 So, we play our role in making the environment as natural as possible with the use of organic cleaning products in Pointe- aux- trembles cleaning services.